The studio has been a-buzzing this month. The smell of beeswax fills my nostrils with joy. I have many pots stirring with projects, jewelry, teaching, learning, but even with all of this, I did not want to, simply could not, forsake my painting time. What a balm to my soul. 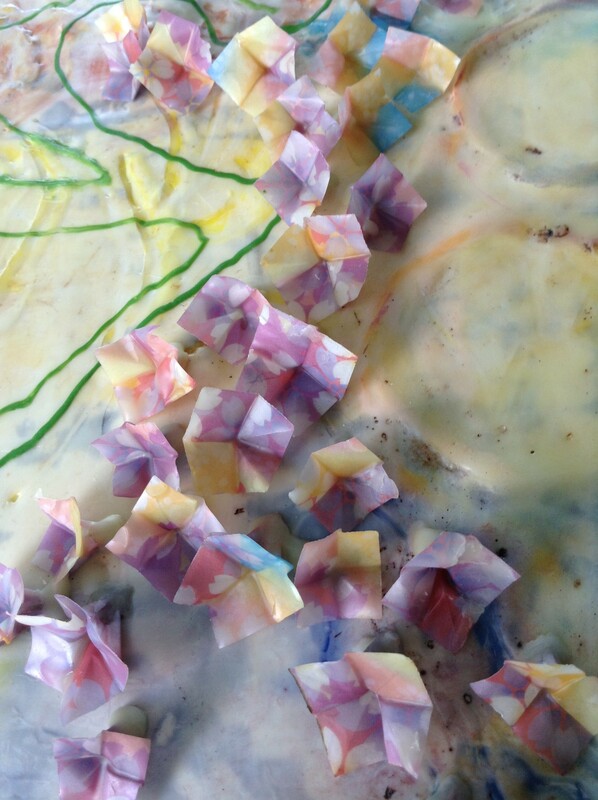 Beeswax-infused origami imparts such dimension and depth, makes my heart go pitter patter. 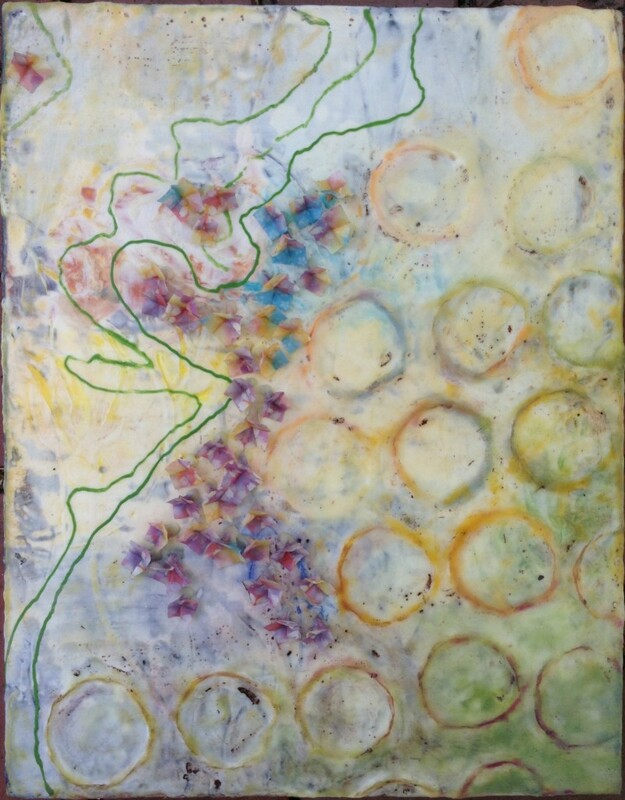 I truly appreciate the sculptural elements that encaustic painting allows. I am thankful that I was gently reminded this year from several different sources of the seasons of life and the honoring of each season. August felt very dry to me spiritually. I called on my reminder of seasons and rather than discouragement due to the lack of spiritual growth, I felt a patient waiting. During this time, even my prayer life seemed to feel forced and lacking. So the painting that began my September was a beginning again point. My heart made that step back into prayer and offered up the sweet smelling incense. I am thankful for the passing of such a hot, dry season. Thank you for your genuine, transparent spirit.